“I cannot tell everyone enough how much fun last night was at the Gardenia Supper Club where Angela O'Neill's wonderful voice filled up that tiny room. 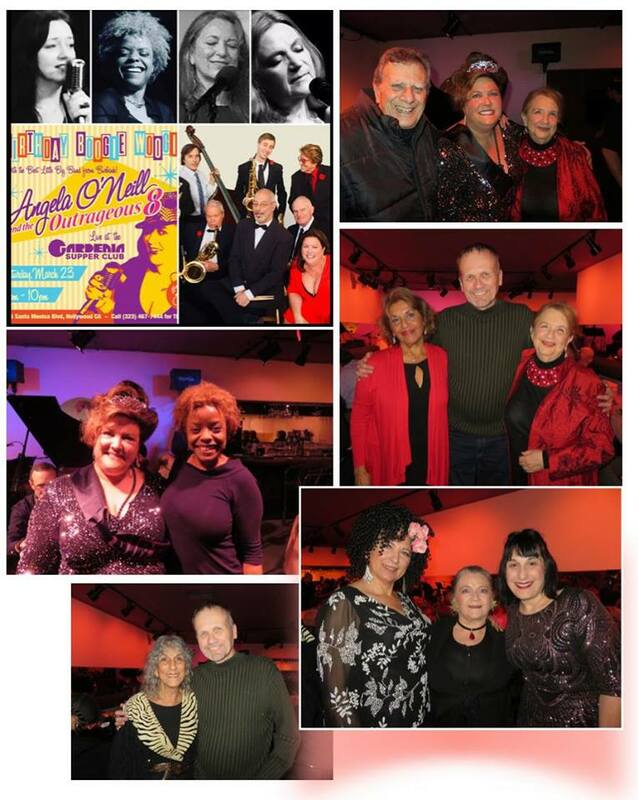 There was a plentitude of music there, gems from my favorite-"The Great American Songbook",and in addition to Angela, our birthday girl, a bevy of guest singers to perform them including vocals by the pianist and the drummer whose singing I really liked. Al Timms as always gave us virtuous renditions and got us "Feeling Good." Judy Barrat performed as well, an original poem which was much appreciated..